One of the vintage phones is left off the hook with a kind of ‘dog talk’ emanating from the receiver. 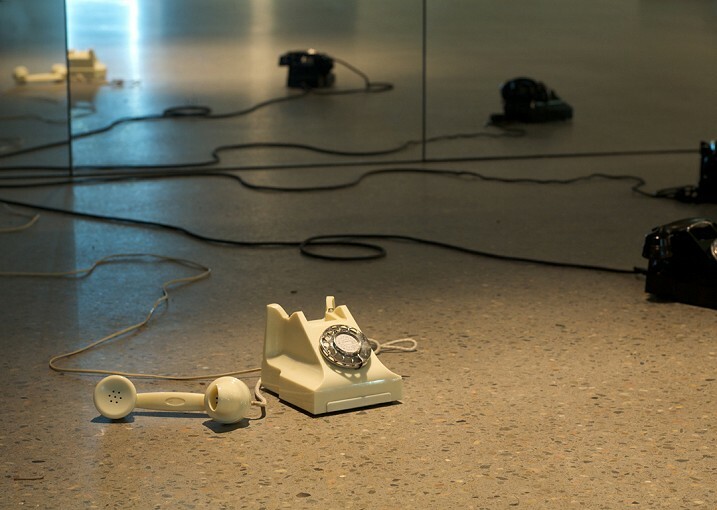 This interdisciplinary new media artwork explores the ever-increasing state of obsolescence of mass produced objects. Ghost show was curated by Daniel Mudie-Cunningham, an invitation for a group of artists to undertake a one week residency at Hazelhurst, research and develop a new work that responds to the folklore/urban legend that the cottage is haunted –an opportunity to engage with strange phenomena in everyday life. 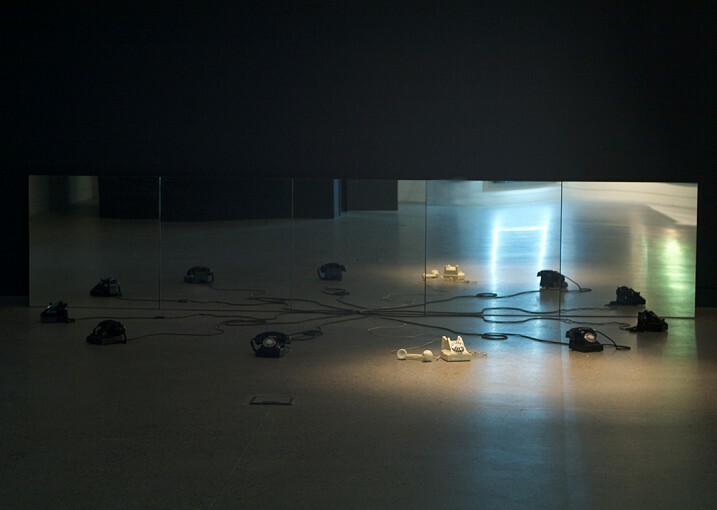 Reflecting upon the haunted house, End of the Line is a discrete light and audio installation featuring a series of automated Bakelite telephones; reworking old technologies to generate mystic forms of communication – possibly with the ‘other’ side. Telephonic technology was developed to animating absent voices and in 19th century this technology. It engendered supernatural belief systems of invocation. This research, lead to deeper examination of morphic resonance and the ‘so called’ powers that pass between animals and humans. 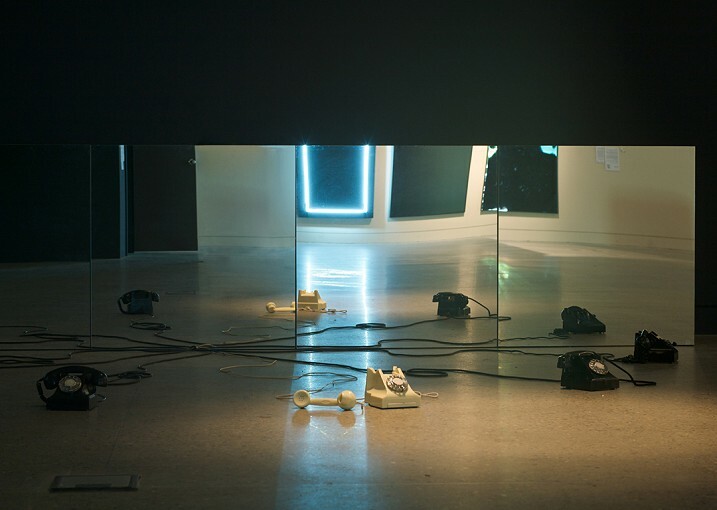 The white vintage phones is left off the hook with a kind of ‘dog talk’ emanating from the receiver – a human approximation of an unknowable dog language that simultaneously conjures the spirit.